Bethunes Investments Limited (“Bethunes” or “BIL”) is currently an unlisted public company with approximately 230 shareholders. The company name was selected as it was associated with Mowbray Collectables Limited (the former NZX listed parent company). 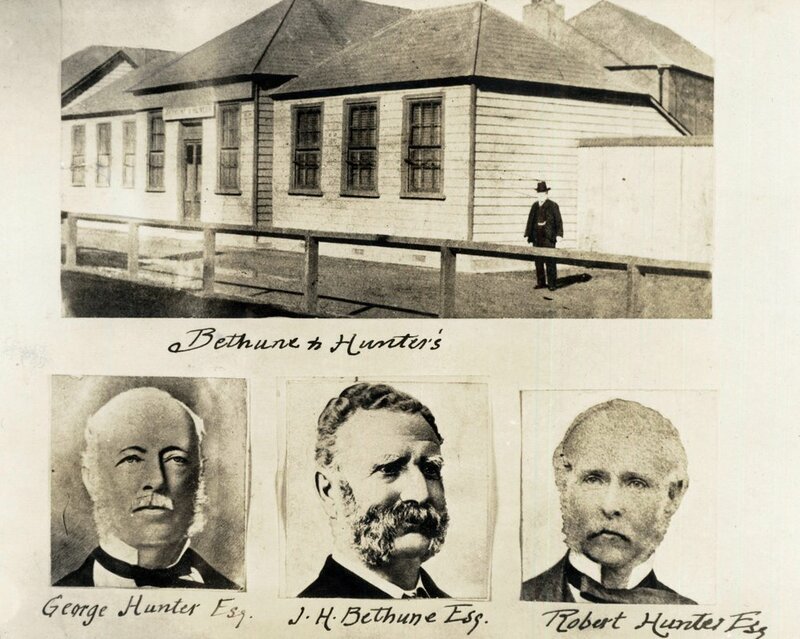 In 1999, John Mowbray formed Bethunes Rare Books Limited to acquire the rare book auction business of JH Bethune Limited which held book auction sales, with relatively brief interruptions, since 1877, and before that by the firm Bethune & Hunter, from 1852. Bethune and Hunter were Merchants, Station Agents, and Lloyd’s Agents. It was one of the oldest businesses in Wellington (located on Bond Street - formerly Old Customhouse Street - demolished in August 1958), having been established in February 1840 by Kenneth Bethune (1825 - 1855) and George Hunter (1788 - 1843) soon after their arrival in Wellington from Scotland. In August 2018, Bethunes completed a capital raising to enable the company to acquire a 33.33% interest in SwimTastic Limited a learn-to-swim business based in Auckland, New Zealand. The relationship between Management and Shareholders should be a simple one. The objective of Management is to maximise intrinsic value per share for Shareholders and they are paid to do exactly that. Based on Shareholders' own financial decisions, Shareholders of businesses provide the capital that allows Management to do its job. With these principles firmly in mind, the list below describes the relationship we wish to maintain between the Management of Bethunes and the owners of the business - its Shareholders. Although we are an unlisted public company, we will act like a partnership. The benefits of our corporate form should not be underestimated, as it provides the permanence of our capital structure that gives Management a real advantage to make both strategic and long-term investments. The Company’s investment objective is to preserve capital and seek maximum, long-term capital growth commensurate with reasonable risk. Management defines risk as the probability of a permanent loss of capital, rather than price volatility. In its value approach to investing, the Company will seek to identify and invest in opportunities that we believe exhibit significant valuation discrepancies between current trading prices and intrinsic business value (or net asset/s value). Management's focus on undervalued securities/assets is due to our belief that a well-priced purchase is often the most important determinant of the success of an investment. We believe that the acquisition of an investment, acquired at a discount to intrinsic value, provides a margin of safety that can mitigate the likelihood of an overall loss of the Company’s capital. While Management is comfortable making investments in a wide range of industries and asset classes, they prefer investment in simple businesses and assets that generate cash flow over the long term. (3) mispriced probabilistic investments/assets where Management believes that the market price of a security or other investment/asset under-estimates the probability of a favorable event that is expected to lead to a significant change in the valuation of such security or investment/asset. In certain situations, if we believe the commitment of time and capital is justified we may seek to be a catalyst to realise value from an investment by taking an active role to effect corporate change, this could be working alone or in conjunction with other investors. Such activist techniques could involve working with existing Management or other more aggressive steps such as acquiring substantial stakes in companies, proposing restructuring, recapitalisation, sale, changes in strategic direction, seeking potential acquirers, and other related activities. Management believe that on occasion these activist techniques can both accelerate and maximise the realisation of value from an investment. Debt should be used sparingly and with an appreciation for the increased risks inherent in increased leverage. Investment opportunities which require excessive debt to finance will be rejected rather than over burdening our balance sheet. This conservative approach to issuing debt reflects a focus on capital preservation (as well as capital growth) and our acknowledgment of the fiduciary obligation we hold towards Shareholders as stewards of their capital. The long-term goal of Management is to maximise the average annual growth rate of the intrinsic value per share. Our focus is on intrinsic value per share as it reflects an obligation to add value for Shareholders. Likewise, our orientation will be guided by having a shareholding in the business. This will ensure both Management and Shareholders have a stake in the long-term performance of the business and that we will “eat our own cooking”. Management are also Shareholders and we will always treat Shareholders in the manner we would want to be treated if our roles were reversed. However, we do not propose to issue earnings guidance or report on a quarterly or interim basis.